As one of London’s smallest and most densely populated boroughs, many Islington residents opt to forgo learning to drive. While wanting to avoid the busy inner London traffic is certainly understandable, this unfortunately means that many end up missing out on the freedom of the open road. Here at PassMeFast, we’re aiming to change all of that. Our intensive and semi-intensive courses are designed to help even the busiest learner driver to pass their test within weeks of booking. Read on to learn more about our driving school, and to see what we do differently. Some intensive driving course providers make the mistake of assuming all learners are the same—and that all of them have enough time to do all their lessons in a 5 day timeframe. PassMeFast, meanwhile, understands that not everyone has the ability to drop their other commitments to learn to drive—and we don’t believe that learners should be penalised for this by having their lessons dragged out across months. Instead, we offer a range of different courses, from our 48-hour course for total beginners through to our 5-hour refresher course. Lessons may be taken either at a fully intensive pace, with up to 5 hours in each day, or at a semi-intensive pace, with 2 hours per session spread over a longer period of time. Interested in automatic driving lessons in Islington? While manual cars are often seen as a default option for UK drivers, automatic cars are growing in popularity here in Britain. In fact, they’re a particularly good choice for learners living in inner cities, as the lack of gears makes automatics well suited to the stop-start traffic that comes with urban driving. All of our courses are available in either manual or automatic transmission—the choice is yours. No matter which course or structure you opt for, you’ll be able to benefit from our fast-track practical test service. Our fast-tracking department is adept at finding driving test cancellations, and, in doing so, beating the usual long waiting times for practical tests on the DVSA website. 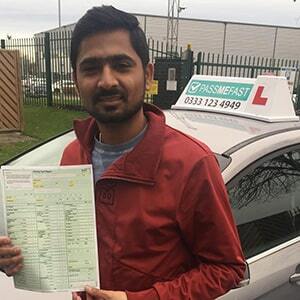 By booking your driving test in advance, we can even ensure that the scheduling of your lessons aligns with your test. This means that, when your driving test examiner is watching your every move, the knowledge you’ve attained throughout your course will be fresh in your mind. As such, while no individual test ever comes with a guaranteed pass, your chances of walking off with that full driving licence will be sky high. To book your course today, give us a call on 0333 123 4949, or simply click the button below to go direct to our online booking form. It’s the moment all your driving lessons have been building up to: the practical test. But where to take it? 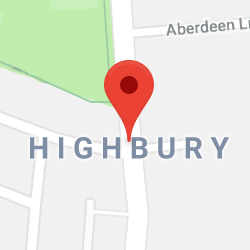 As you may have guessed, you won’t be able to take your test in Islington itself—the dense traffic and urban conditions mean that this isn’t an ideal place to test you across a range of different road types. 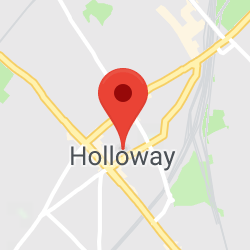 Luckily, you’ll only need to hop just one borough to your north, with two test centres found in neighbouring Haringey: Wood Green and Tottenham. Want some pre-test advice? Check out our tips for impressing your driving examiner. Islington is without its own theory test centre, so learners waiting to take their test will need to head out of the borough. 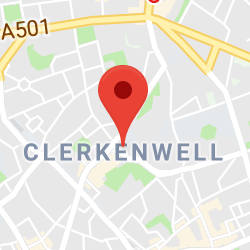 If you’re near to a Northern line station such as Angel, then head south to London Bridge to take your test at the Southwark test centre. 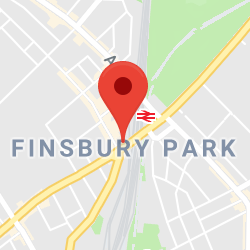 If you’re closer to Piccadilly line stations like Caledonian Road, Arsenal or Finsbury Park, then travel north to the Southgate test centre. It’s important to get your theory test pass certificate in the bank. Without it, it’s impossible to book a practical test—the DVSA simply doesn’t allow it. If you haven’t passed it yet, add a theory test on when you book your PassMeFast course, and get studying! Read up on our guide to passing your theory test for useful pointers. The main artery running north to south through Islington is the A1. Starting in the City and heading north all the way to Edinburgh, the section that runs through Islington is one of the busiest of the entire route, and will require you to show awareness of bus lanes, cyclists, urban clearway rules, and various types of junctions, including box junctions. 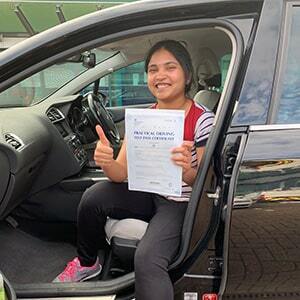 While your driving lessons are more likely to focus on the area where your practical test will take place, this doesn’t mean you won’t be prepared for the realities of inner-city driving. Our courses don’t just teach to the test—they’ll prepare you for a lifetime of safe driving, and show you how to respond appropriately to the hazards you’ll face every day on the road. 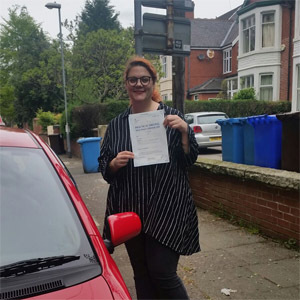 The end result: one confident new driver, with a pink licence in their pocket. With thousands of successful alumni having sat behind the wheel of a PassMeFast car, we’re experienced in turning new learners into savvy drivers. Join them by booking your course today—either over the phone on 0333 123 4949, or online by clicking the button below.